Combining the safety and non-safety components in one system can save significant wiring costs. 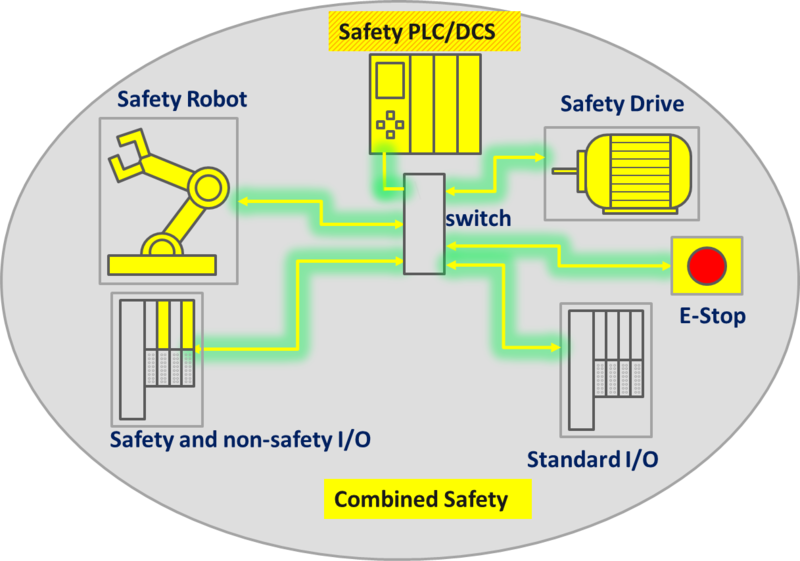 Using one safety PLC for all PLC/safety functions allows a single engineering tool for all programming. The combined approach saves costs and lowers the confusion factor associated with having multiple programming tools. If you need some review on Safety, you can go here to the beginning of this discussion Safety Basics.